* The camera is charged in approx. 200 minutes (at 25°C (77°F)). * When the remaining battery level is low, it may take a while for the camera to be recognized by the computer. 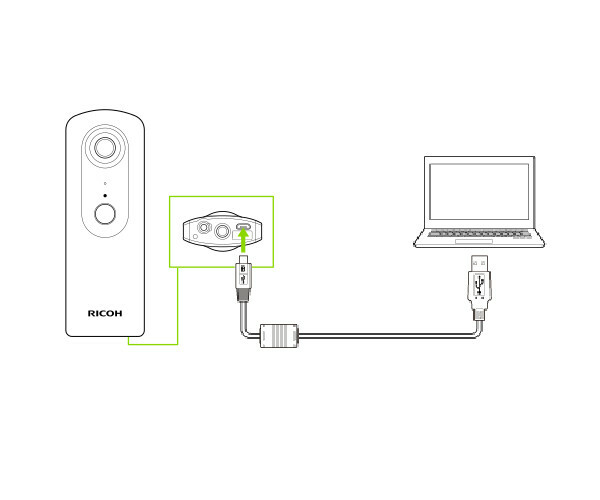 Installing computer application "RICOH THETA"
1. Download the app suitable for your computer. 2. Double click the file downloaded and install it following the on-screen instructions. When a screen as shown in the diagram below appears, the installation is complete. 1. 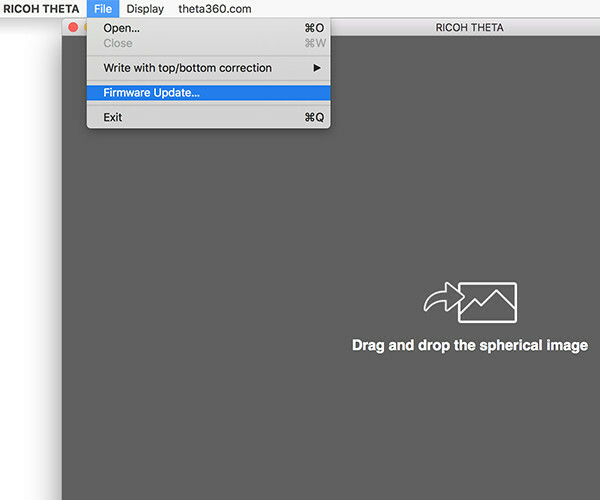 Start computer app"RICOH THETA". 2. Select [File] → [Firmware Update] in the menu. 3. Follow the instructions on the screen to connect the camera to your computer using the provided USB cable. * Internet connection of the computer is necessary. 4. Click [OK] and Check the firmware version. * If the firmware isn't the latest version, update it according to the message. 5. After checking the firmware version, click [OK] and disconnect the USB cable. Installing smartphone app "RICOH THETA"
1. Access a site to download smartphone apps and search for "RICOH THETA" Or install the app from the link below. 2. 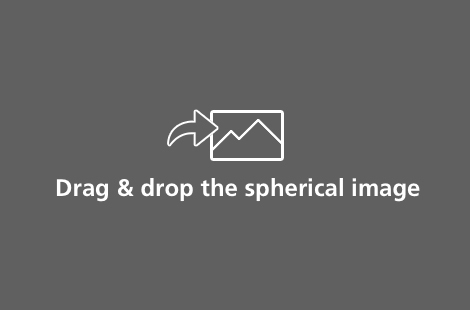 After installing, the icon as shown in the figure will be added. 1. Press and hold the power button. Camera status lamp flashes in blue slowly during startup. 2. When the camera is ready for use, the Camera status lamp lights in blue. 1. Press the wireless button. The wireless lamp flahes in blue. 2. 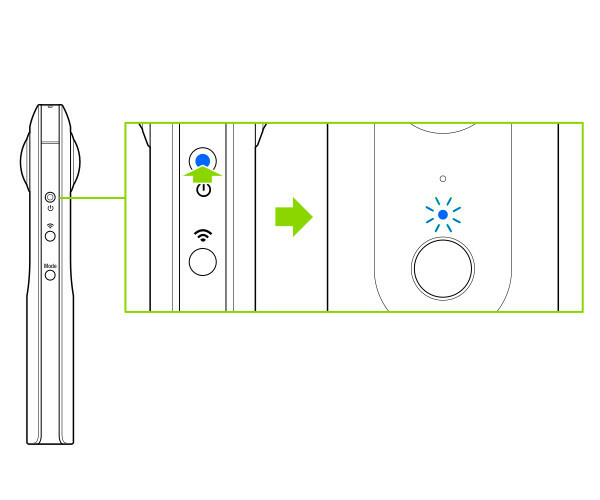 Display the Wi-Fi™ settings of the smartphone. 3. Check the serial number printed at the bottom of the camera. * The serial number printed at the bottom of the camera is the same as the SSID and password. 4. 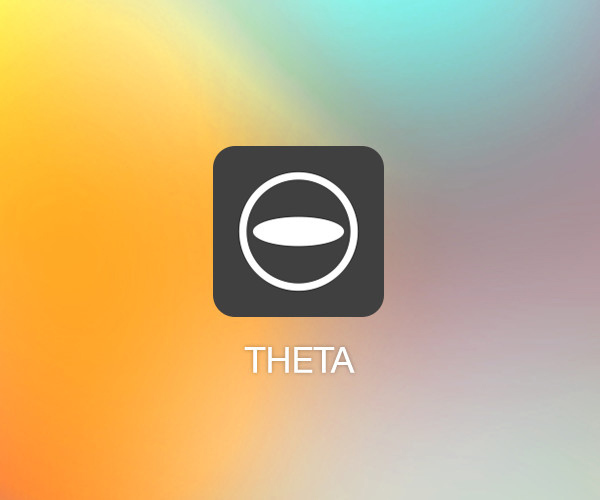 Select "THETA*******.OSC" from the network list and enter the password. * "*********" of SSID part is indicated by (B). * The password is indicated by (A). 5. When the wireless lamp lights in blue, the camera is connected to the smartphone. Starting the smartphone app "RICOH THETA"
1. 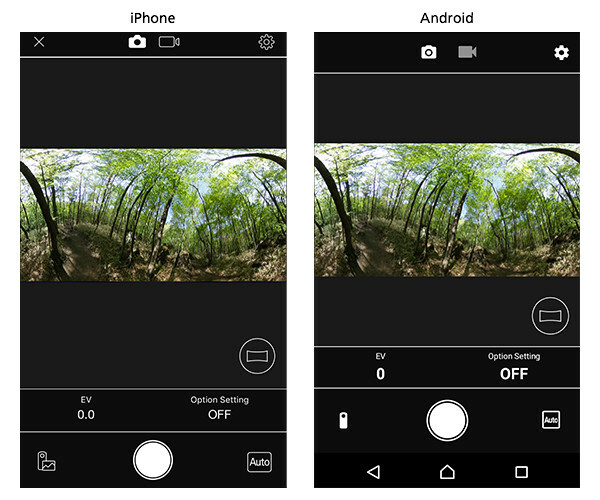 Start "RICOH THETA" app on the smartphone. 2. Tap "Cam imagpes" on the bottom left of the screen. Tap [Settings]. Change [Change Wi-Fi password]/[Sleep mode]/[Camera shutter volume]/Transfer method]. 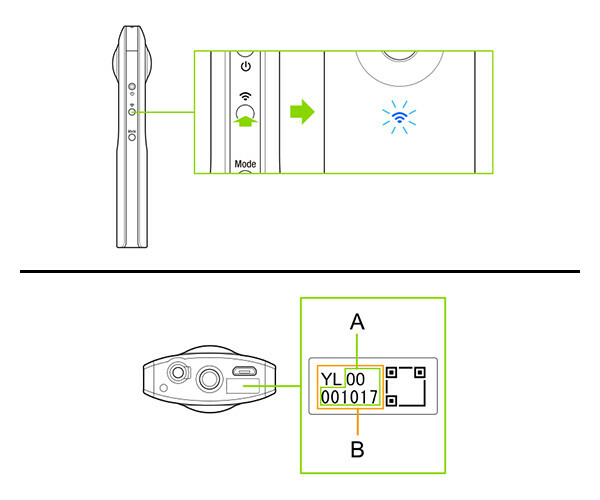 * The date and time of the camera are synchronaized wih the smartphone when the cmaera is connected to the smartphone and "RICOH THETA" of smartphone app is started. 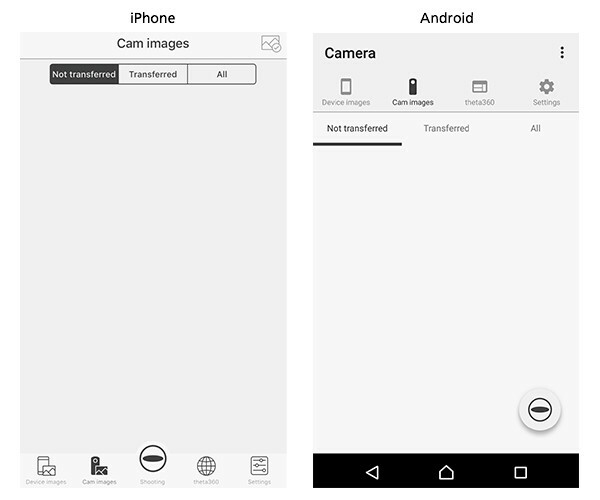 * "Wi-Fi Password", "Sleep mode" and "Camera shutter volume" can be set only when the camera is connected to the smartphone. Can I register My Settings for videos? The camera and smartphone cannot connect by Wi-Fi.